The Rest of my 'Who Am I?' 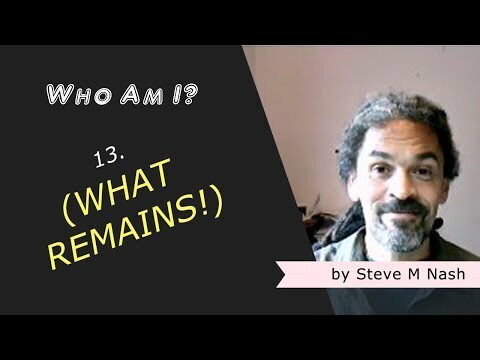 Personality Traits | Who Am I? Oh my good golly, did I NOT particularly enjoy this series of 3 videos I recorded today (Friday, Sept. 7th, 2018)! I changed my video recording routine, for some reason (that felt like a good idea at the time), and recorded THREE videos one after another. Maybe I’ll return to record more “Who Am I?” videos, one at a time, but for now I will leave you with this offering, which I have not-so-imaginatively called, What Remains (i.e. I simply read out the rest of my personality traits I’ve yet to record a video on). But is any of it true – what I think about myself, or what others think about me? Or is the ONLY thing I can know to be true is that I THINK (and often believe in the thoughts I think) – and YOU THINK (and believe in your thinking) TOO? Finally, this: none of us are who we think we are.